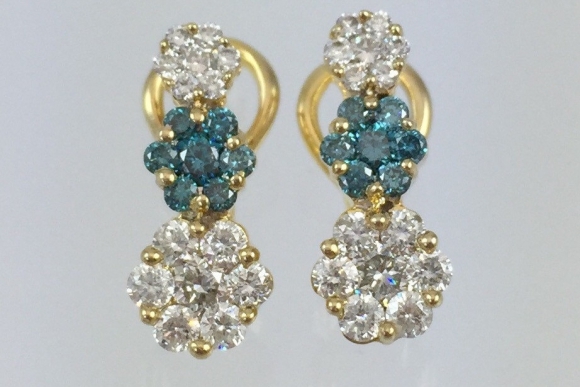 This vintage pair of 14K yellow gold earrings is set with 28 eight round brilliant white diamonds and 14 round enhanced fancy blue diamonds. 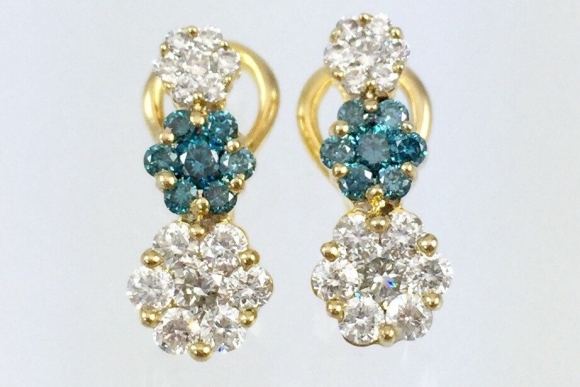 The blue diamonds have been irradiated to produce their vivid blue color. 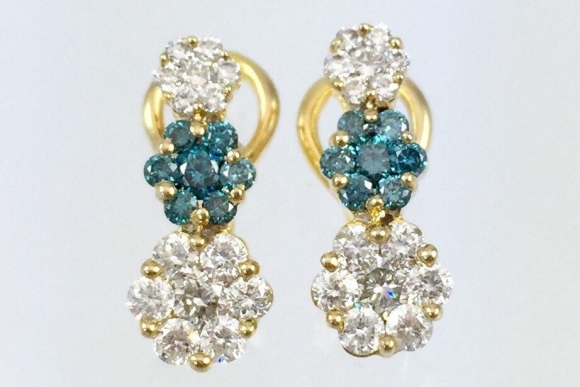 The earrings are set with three graduated clusters of seven diamonds each. The total diamond weight is one carat and the clarity grades of the diamonds range from SI1 - I1. 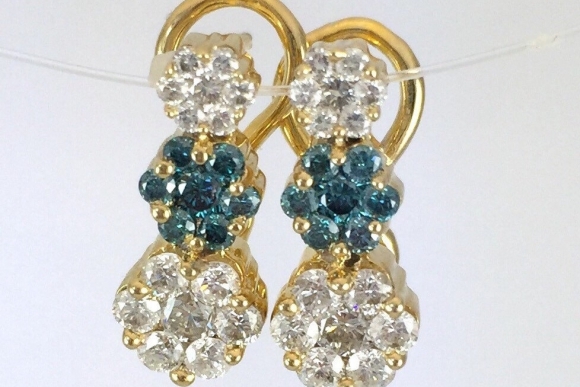 The earrings are secured by a post and omega clip for additional comfort and security. 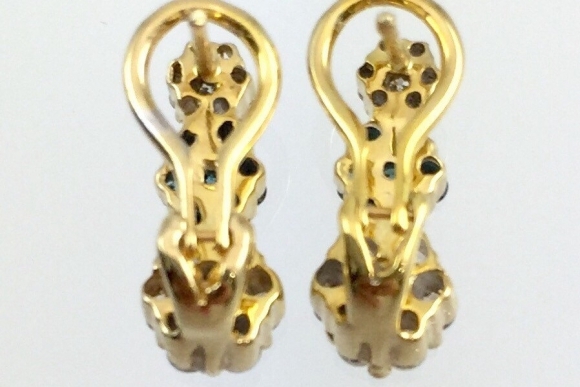 The earrings are unstamped, but have been tested and confirmed 14K. Measure: 5/8 long x 1/4 at their widest. Very good condition.